Not displaying correctly? View this email in your Browser. Welcome to the first edition of the bi-annual Industry Newsletter from the University of Oxford’s Department of Chemistry. The newsletter is intended to be a snapshot of our ongoing interactions with industry. Please visit the new industry section of the Department's website for more detailed information. Our intention is to increase communication with our industrial colleagues by promoting news and initiatives from across the Department. We see the strengthening of our existing academic-industrial relationships and the enabling of new interactions as key elements of our research strategy as a world-leading Chemistry Department. - Prof Mark Brouard, Head of Department. Prof Mark Brouard is a Professor of Chemistry and Helen Morag Fellow and Tutor in Physical Chemistry at Jesus College Oxford. Prof Brouard has recently been appointed Head of the Department of Chemistry. The main aim of HydRegen is to develop improved methods for utilising cofactor-dependent enzymes. HydRegen provides a flexible platform of H2-driven immobilised enzymes to facilitate implementation of cofactor-dependent biocatalysis. 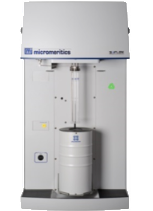 This technology has a wide range of applications in the fine chemicals sector for synthesis of pharmaceutical, flavour and fragrance molecules and more broadly in introduction of chiral centres and controlled oxidations. Prof Kylie Vincent, who is leading this initiative at Oxford Chemistry, explains how the interaction with industry first developed: “We first had contact with Dr Ian Churcher from GSK when he was assigned as a business mentor when our biocatalysis technology HydRegen won the 2013 Royal Society of Chemistry Emerging Technology prize“. The enzymes required for NADH (or NADPH) recycling are immobilised on easy-to-handle carbon beads. Cofactor recycling is driven cleanly by hydrogen gas. Since both H atoms of hydrogen gas are incorporated into the final chemical product, there is no chemical waste generated. After meeting some of his colleagues at GSK, there was substantial interest in the group’s H2-driven approach to recycling the biological cofactor NADH. 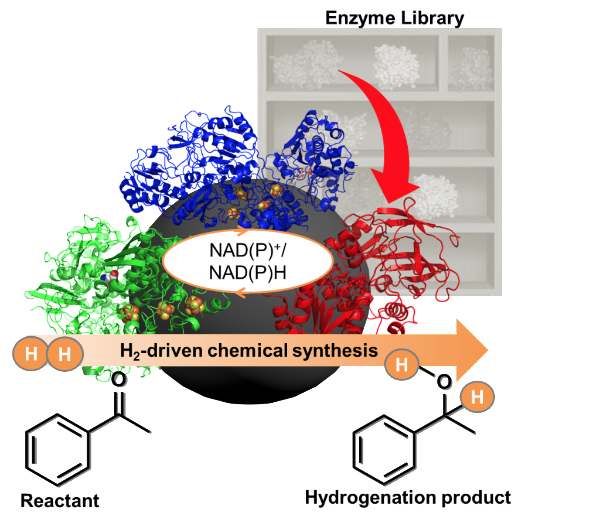 ”NADH is needed to drive many of the enzymes that are useful in pharmaceutical and fine chemicals synthesis, and HydRegen provides a cleaner alternative to the approaches currently used to recycle NADH”, Prof Vincent explains. This led to a short project with Dr David Tew at GSK, with funding from BBSRC, in which GSK provided enzymes and chemicals that allowed the Vincent group to demonstrate that HydRegen can be extended to recycling the more expensive cofactor, NADPH. The link with GSK also led to invitations for Prof Vincent to give talks at both their Stevenage site in 2014, and at their Global R&D Conference in Cambridge in 2015. Dr Tew has also agreed to be a member of an industrial advisory board for an EPSRC/Innovate UK funded project, starting in January 2016, to develop the HydRegen concept towards market. Prof Vincent is confident that his input will help to ensure that the research to develop the technology is directed towards the needs of the pharma sector. Prof Kylie Vincent is an Associate Professor in Inorganic Chemistry and Tutorial Fellow in Inorganic Chemistry at Jesus College Oxford. Prof Vincent has recently been named as a ‘Rising Star’ in the 50 Movers and Shakers in BioBusiness 2015 report, which identifies 50 inspirational women in biobusiness in the UK who are challenging the status quo to bring better health to people around the world. For the HydRegen project, she was also awarded one of Oxford's MPLS Impact Awards recognising excellence in generating broad user interactions that achieved impact. DiStruc, one of our existing EU funded Marie Skłodowska-Curie Innovative Training Networks (ITNs), has recently launched and will run for 4 years. 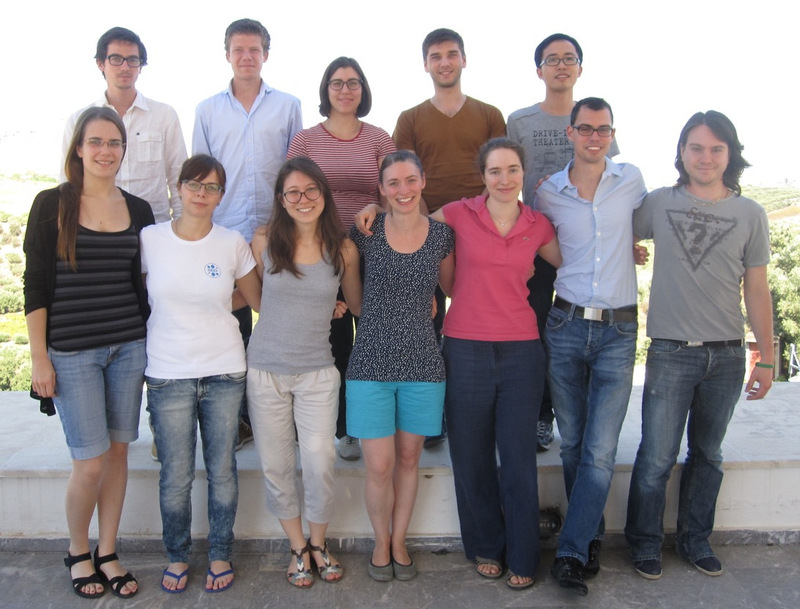 Aimed at studying the behaviour of rod-like colloidal liquid crystals, DiStruc brings together a highly focused and interdisciplinary consortium with state-of-the-art expertise in experimental techniques, mechanical theory, computer simulations, biochemistry and industrial systems. DiStruc seeks to push the field in a new, innovative direction where rod-like colloidal particles of a very diverse nature are used to form structures with a well-defined direction: Directed Structure (DiStruc) at the meso-scale, hence accelerating their exploitation and market introduction in the fields of high-performance fibres and fast moving consumer goods. The multidisciplinary aspect of the DiStruc consortium and the participation of four industrial groups (Unilever, Teijin Aramid, Canoe, and Nestlé) will boost the transfer of knowledge between academia and industry. Fifteen Early Stage Researchers will spend three years of study (leading to a PhD) in 6 different European countries and 9 different academic and industrial research groups. Recent work in the Dixon group by DPhil student Alistair Farley, supported through an industrial CASE award in collaboration with AstraZeneca, has focused on the development and application of a new class of bifunctional organocatalysts for asymmetric synthesis. At the end of his first year (2013), Alistair was awarded the Lilly Prize for Excellence in Organic Chemistry as well as a Scholarship from the Society of the Chemical Industry (SCI). Alistair’s results have also been published in world-leading chemistry journals (J. Am. Chem. Soc., 2013, 135, 16348) and the invention of the catalysts patented (Bifunctional Organocatalysts, WO2014064466 A3). This work highlighted the industrial applicability of the catalysts developed; reactions were performed on up to 20 gram scale with loadings as low as 0.05% and rate enhancements up to 1300 were demonstrated. Prof Dixon, who is also co-Director of the EPSRC CDT in Synthesis for Biology and Medicine, strongly supports academic-industry interactions: “This collaboration was a great success from a scientific perspective, advancing the knowledge in the field and further strengthening the relationship our group and Oxford enjoys with AZ”. Alistair presented his results at AstraZeneca’s Alderley Edge and Macclesfield sites and met regularly with his industrial supervisor. Following the completion of his thesis in May 2015, Alistair continued to work in the Dixon Group funded through the EPSRC Doctoral Prize, where he has been working on developing scalable routes for catalyst synthesis to allow commercialisation. Prof Darren Dixon is a Professor of Chemistry at the University of Oxford, where he holds the Knowles-Williams Tutorial Fellowship in Organic Chemistry at Wadham College. Prof Dixon is also co-Director for the EPSRC CDT in Synthesis for Biology and Medicine. We are open to a variety of collaborative relationships to allow industrial partners to gain access to the Department’s world-leading expertise and facilities. If you are interested in partnering with Oxford Chemistry, have a look at our new industry-facing website. Alternatively, please contact Dr Rachel MacCoss to discuss how to collaborate with us. Comparison of breath gases, including acetone, with blood glucose and blood ketones in children and adolescents with type 1 diabetes. Combining organometallic reagents, the sulfur dioxide surrogate DABSO, and amines: A one-pot prepration of sulfonamides, amenable to array synthesis. Validating the geometry of interdigitated band electrodes: A variable scan rate study. The Preliminary Examinations in Chemistry 2015 Prizes were sponsored by Bruker. The Chemistry Part IA 2015 Prizes were presented to the top undergraduates by Dr. Sue James from SAB Miller PLC in October. The Wiley Prize is awarded to 3rd year undergraduates who have shown excellence in their experimental work and written submission in Physical and Theoretical Chemistry. Dr Pan Procopiou presented the GlaxoSmithKline Prizes to the award winners earlier this month. GSK Awards in Organic Chemistry Part II: Awarded to the highest ranked Oxford graduates (based on their combined Part I and Part II performance) who continue into postgraduate research in Organic Chemistry in Oxford. GSK 3rd Year Undergraduate Prizes in Practical Organic Chemistry: Awarded to the highest ranked Oxford graduates (based on their combined Part I and Part II performance) who continue into postgraduate research in Organic Chemistry in Oxford. The Photonic Solutions Prizes are awarded to 4th year undergraduates who have shown excellence in their experimental work and written submission in Physical and Theoretical Chemistry. Access to the department’s diverse range of equipment and expertise is also available to industry, where we can provide your company with testing and analysis services. Measurement of surface area and porosity by gas adsorption to sample surface. Analysis of up to 6 samples simultaneously. Applications include catalyst development, pharmaceutical development, agrochemicals and more. Copyright © 2016 Department of Chemistry, University of Oxford, All rights reserved. Subscribe now if you would like to receive the Oxford Chemistry Industry Newsletter. Alternatively, update your preferences or unsubscribe from this list.